Xiaomi is now rolling out a new software update weighing 440MB for the Mi A1 users. The new OTA update brings March 2018 security patch fixes to the smartphone. Xiaomi delayed the February 2018 update a bit, but the company has rolled out this month’s update on time, at least in-line with their schedule of rolling out a monthly patch update. However, do make a note that this update is still based on Android 8.0 Oreo and not Android 8.1 Oreo. Xiaomi is yet to give an update on when it’s planning to roll out the 8.1 Oreo update since the Android One variant of the Moto X4 already received the update in the US. Furthermore, Motorola is gearing up to release the Android 8.1 Oreo update to the standard version of the Moto X4 as the release changelog is already up on the company’s website. Also, there’ some confusion with the changelog of this Mi A1 update as it states April 2018 security update, which you can clearly see in the image below. However, that’s not the case. 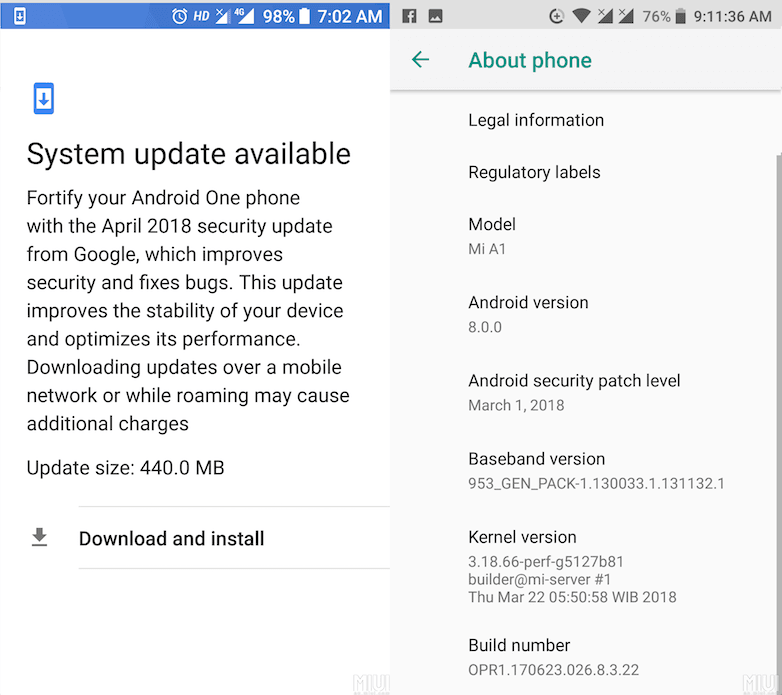 After the update, the About Phone section shows the security patch level as March 2018 and not April 2018. Maybe a slight glitch from Xiaomi’s end while preparing the changelog for the update. Also, this update doesn’t bring any new changes or features to the smartphone. The update is already rolling out across various countries including India. So, head over the Software Updates section and manually check for the update if you haven’t received the software update notification. 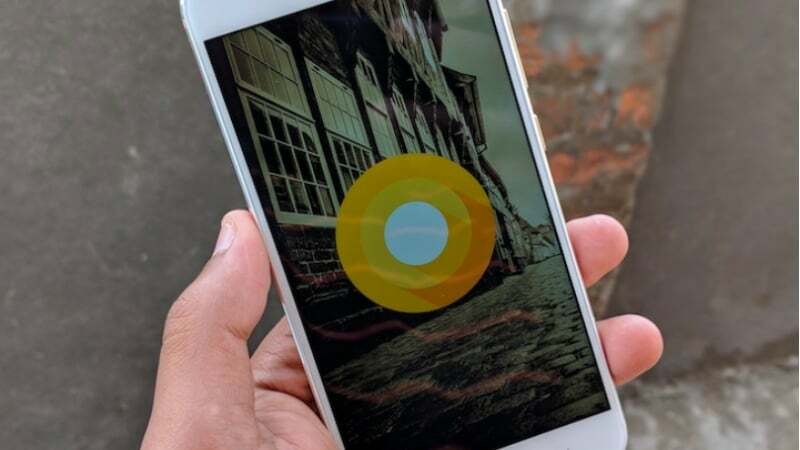 Xiaomi might release the Android 8.1 Oreo update to the Mi A1 smartphone very soon as users are already getting furious about Xiaomi’ silence regarding the update. As of now, we don’t have any information on the Oreo 8.1 Update for the Mi A1, but the company might include it with the April 2018 security update because it’s been more than four months since Google released the update.